This section includes papers from a variety of sources that bear on the management of information security. This section include page-long summaries and evaluations of some excellent awarness and training films available on CDs and DVDs from various sources. Consolidated 20 articles originally published in Network World Security Strategies newsletter. Research student Akshay Awasthi asked me a question for his research paper and I have posted my answer here. Excellent review article by Jérémy Legendre -- originally his term paper for the IS340 Introduction to Information Assurance course in Fall 2012. Mildly edited by Mich and posted with permission of the author. How to set up and run an effective CSIRT. Protecting Yourself Online. Interagency OPSEC Support Staff materials (public domain) from 2010. ZIP archive (2.4GB) contains contents of the DVD for installation. See the description file (PDF). Chapter 44 from the Computer Security Handbook, 4th Edition (CSH4) reviews methods for developing security policies in specific organizations. It was later updated to become Chapter 66 of the CSH5. The same lack of restrictions applies to all of the following public-domain, US-government-created CD-ROM contents from DISA which I have ZIPped up for you. Feel free to download the ZIP files and install them to disk. Use the README files or click on the appropriate start file for instructions on installation of the specific title. May be freely copied and distributed on condidion that there is no charge and that no data are modified in any manner. *By the way, DISA helpfully offered and then shipped me a few copies left over. The stack of large cardboard boxes in front of my home was seven feet high and contained over one thousand copies of the CIRT disk. MORAL: don't accept "a few" anything from a government agency without asking "How many are a few?" Why I hate passwords as a method for authentication. Long-term persepectives on backup media.. Questions to help you evaluate the security of your building. How to block robocalls using spoofed IDs. White Paper on the Clinton Administration's Policy on Critical Infrastructure Protection: Presidential Decision Directive 63, May 1998. 535 pp. Appendices, Indices. Published by United States Joint Chiefs of Staff, August 1999. 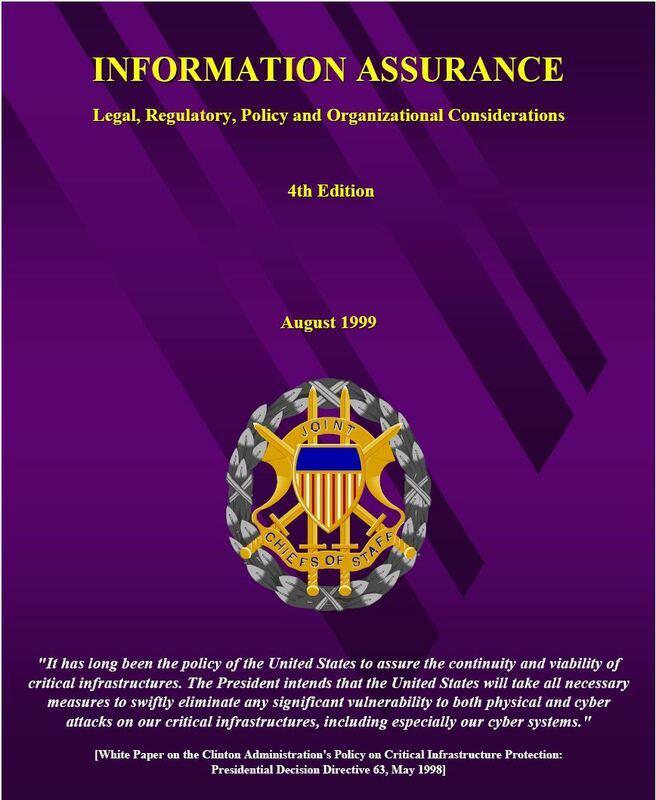 This white paper appeared in 1997 as part of the ICSA (International Computer Security Association) [previously National Computer Security Association and later TruSecure and then CyberTrust] Web site. This version has a few updates to the identifying information (e.g., removing and old e-mail address) but is otherwise as originally written (and thus now out of date). 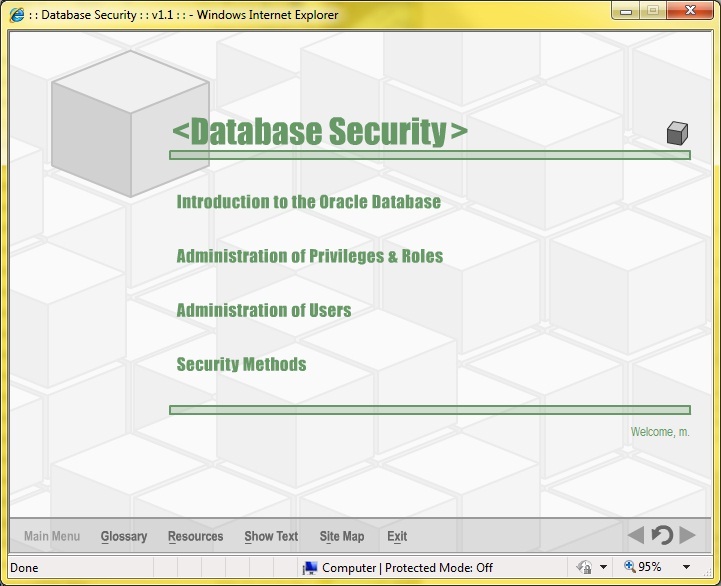 This later became the basis of an evolving chapter in the Computer Security Handbook editions from Wiley. 10 practical measures you can take to reduce the likelihood of successful identity theft and the nightmare of recovering from the damage to your finances and reputation. With thanks to the ITRC for their excellent work and permission to distribute their document. This little paper reviews key threats to information and urges managers not to wait in developing and implementing security policies. In 1993, Phil Zimmermann and others were being harrassed for violating the International Traffic in Arms Regulations (ITAR) because strong cryptography was being shared across international boundaries. This Network World Security Perspectives article was one of many attacks on the policy. Compilation of articles on passwords originally published in Network World Security Strategies. Thoughts about ways of presenting information security as more than just loss-avoidance. This paper was later published with additions by colleagues Karen Worstell and Mike Gerdes of AtomicTangerine and published on the now-defunct SecurityPortal Web site. Over the years I have added to my original version with corrections and updates. Hiring, management and firing with an eye to information assurance. 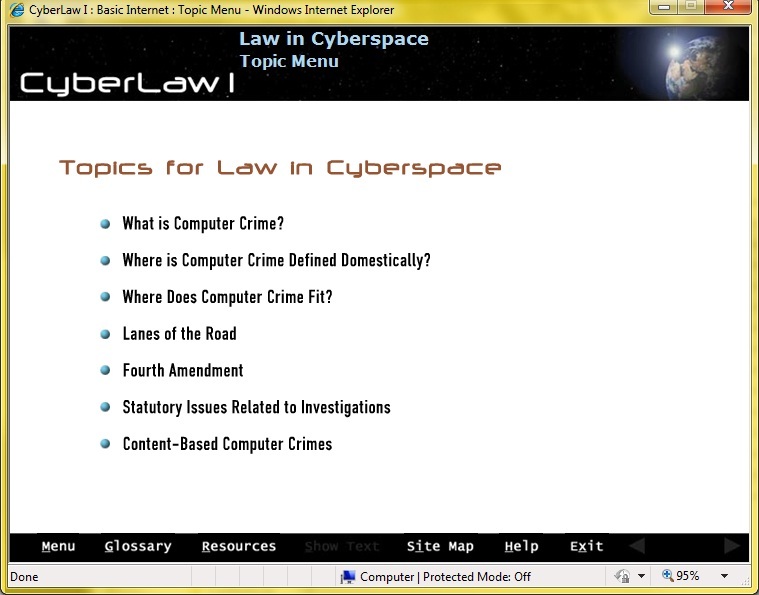 Later became a chapter in the Computer Security Handbook, 4th Edition and then in the 5th edition. Solar storms threaten the critical infrastructure. Get ready. This paper looks at how we can use e-mail and other electronic communications responsibly and professionally. 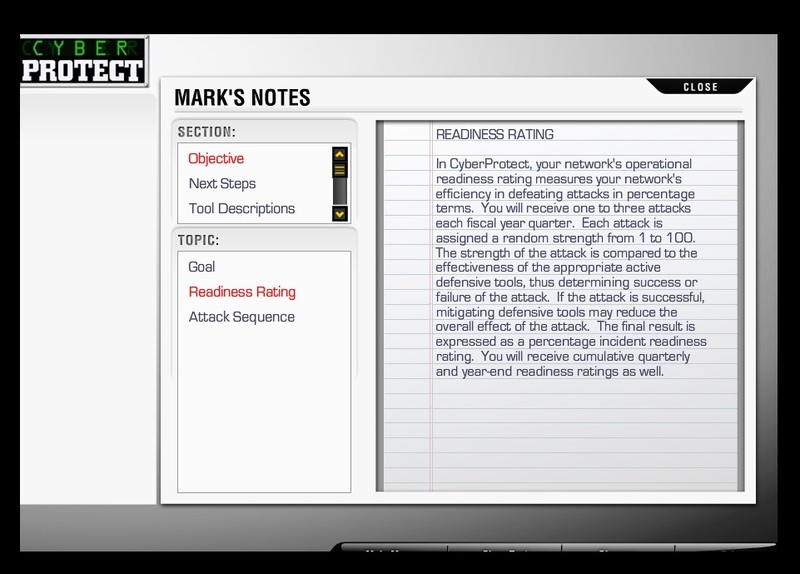 It is intended to provide useful information for corporate INFOSEC awareness programs. Five pages this time to convince your bosses to pay attention to INFOSEC. About 40 minutes of narrated lecture on the key elements of managing information security effectively. Delivered via Vermont Interactive Television to an audience in Germany at a conference sponsored by Network World Deutschland in December 2002. If you would like to hear the lecture as well as see the slides, you can download the MP3 file (~ 8MB) and move through the slideshow as you listen to the sound. The first 7.5 minutes are in German, so you can skip ahead if you want to start with the English section. Foley & Lardner LLP and Evershades prepared a comprehensive summary of security breach notification laws in November 2009 covering US and international laws. This PDF file is posted for free download with permission of the authors. This paper was first delivered at the 16th National Computer Security Conference in 1993, where it was accorded one of the two Best Paper awards. This version has been updated and was published as Chapter 35 of the Computer Security Handbook, 4th Edition and then updated as Chapter 50 in the 5th Edition. This was originally a response to a friend who kept sending jokes, frightening rumors and virus hoaxes to everyone she knew with instructions to send the jokes, frightening rumors and virus hoaxes to everyone they knew and so on ad nauseam. Now return to the beginning of this description and read it again. And again. And. . . .
A collection of articles from Network World Security Strategies discussing the loss of control over personally identifiable data at Veterans Affairs. A 1993 column from Network World (the paper version) that reviews the movie Jurassic Park and draws lessons for security experts from the misadventures of the heroes and villains. Yet another attempt to reach managers who are not yet interested in security. Commentary on the Notice of Proposed Rulemaking for banks and other financial institutions for Red Flag guidelines against identity theft. Training materials from the Government of Canada Communications Security Establishment (with both English and French versions). May be freely copied and distributed on condidion that there is no charge and that no data are modified in any manner.